The same heartwarming text and adorable pictures, sized to fit little hands. Everyday, everywhere, babies are born. They’re kissed and dressed and rocked and fed and adored by the families who love them. 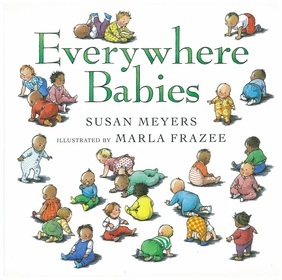 A grand celebration of babies everywhere! Starred reviews in Publisher’s Weekly, School Library Journal, Horn Book, and Kirkus.